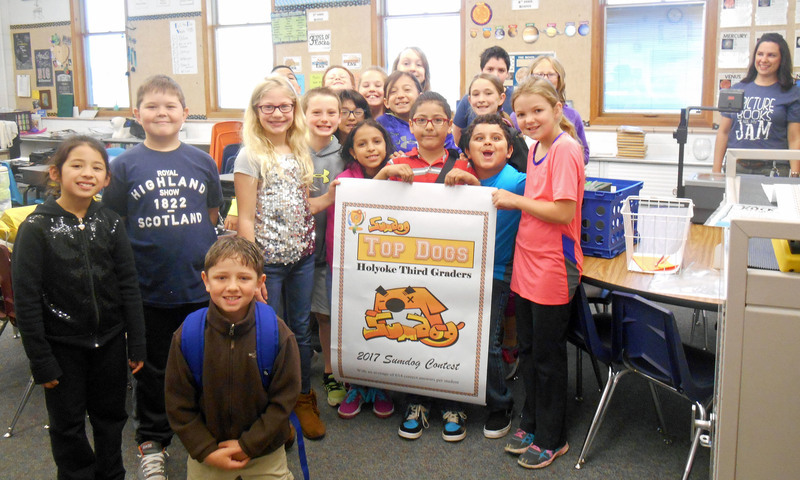 Holyoke third graders earned the title of “Holyoke Top Dogs” in the 2017 East Central and Northeast Colorado sumdog contest. Eighteen of the top twenty scores were held by Holyoke Elementary students. 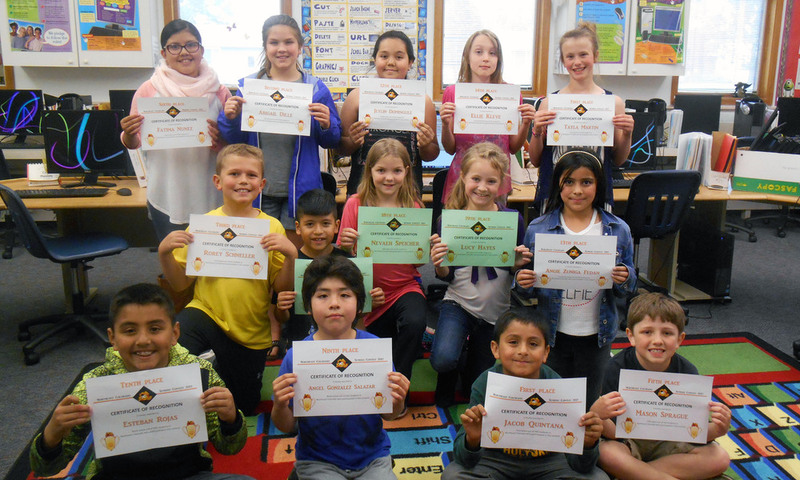 Dragons competed with thirty-five classes and 543 students from May-12-18 answering math questions using the sumdog.com website. In seven days students in the contest answered 187,063 questions getting 158,657 correct answers. Top individual winners earned a certificated and a small prize. Each third grade class earned a poster and a yummy treat! The annual sumdog competition is a voluntary contest for students who choose to participate. Students log into the sumdog.com website to answer math questions based upon the Common Core Education Standards to earn points. Although the contest is over, students can use their sumdog accounts anytime during the year to practice their math skills. Back Row: Fatima Nunez, Abigail Dille, Jeylin Dominguez, Ellie Kleve, Tayla Martin. Middle Row: Rorey Schneller, Ricardo Goytia Juarez, Nevaeh Speicher, Lucy Hayes, Angie Zeniga Fedan. Front Row: Esteban Rojas, Angel Gonzalez Salazar, Jacob Quintana, Mason Sprague. Not pictured are Jessey Zuniga, Patrick Moreno Brody Smith. Congratulations to everyone who participated and improved their math skills in the contest! Ms. Lucero's third grade class.